When enabled, all internet traffic will be disabled if Speedify is disconnected. This prevents your sensitive data from accidentally going out unencrypted if Speedify can not establish a connection to our Speed Servers. To re-enable internet without Speedify, you must disable this setting. First, tap the gear icon on the Dashboard. When the Settings menu is presented, select the Privacy tab. Here you will presented with a few options; if you wish to read more about these options click here. You can enable/disable the Internet Kill Switch from within this menu. 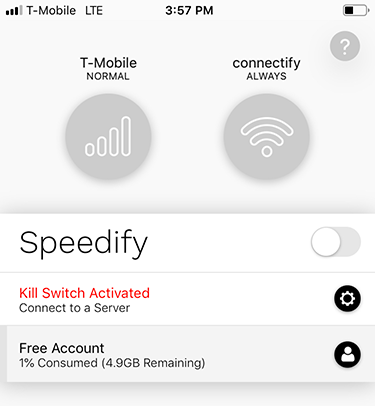 When the Kill Switch is enabled on iOS, the Connect On Demand setting is also activated. This means whenever Speedify is disconnected, iOS will automatically try to reconnect whenever a network attempt is made. 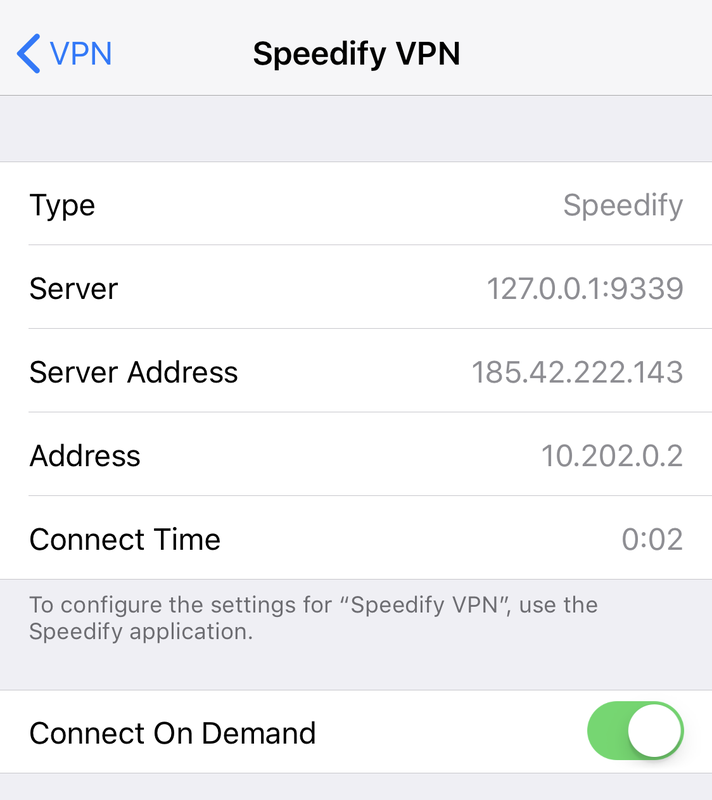 After the Kill Switch is enabled, visit the iOS settings app, tap on the VPN tab, and then the information button ( i ) next to Speedify. This will showcase the Connect On Demand setting. Launch Speedify and head back to the Privacy settings by tapping the gear icon on the Dashboard. When the Settings menu is presented, select the Privacy tab and toggle the Internet Kill Switch off. 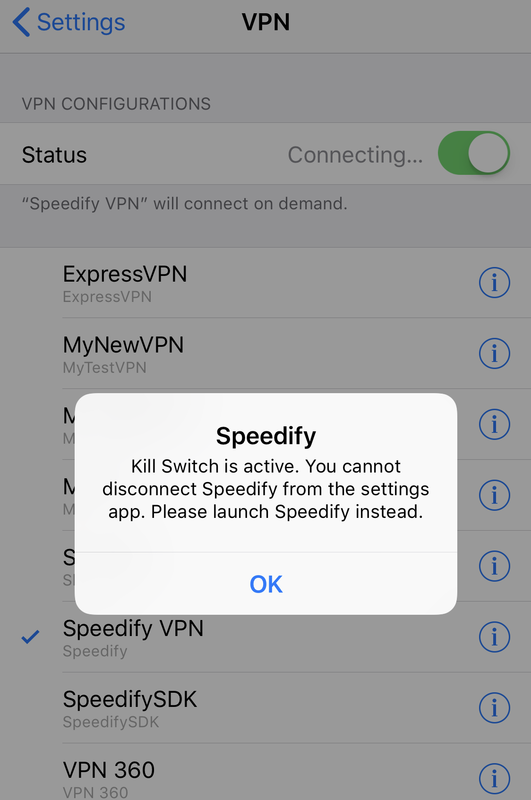 You may not disable the Kill Switch from the settings app by disconnecting Speedify. You will be presented with an alert asking you to launch the UI. However, you may temporarily disable the Kill Switch by toggling Connect On Demand off. Also note when you launch Speedify, if you have not disabled the Kill Switch from the UI, it will reactivate when launching the UI.